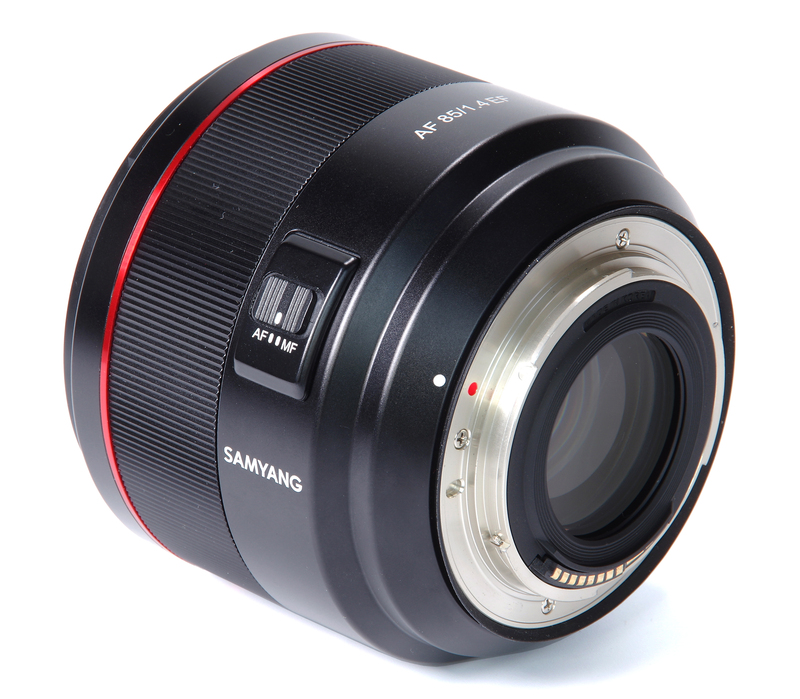 The Samyang AF 85mm f/1.4 is a short, squat lens that weighs in at a reasonable 485g. It looks big because it is so broad, an inevitable consequence of a large front element. The supplied round lens hood bayonets cleanly onto the lens and within the fitting is a conventional 77mm filter thread. 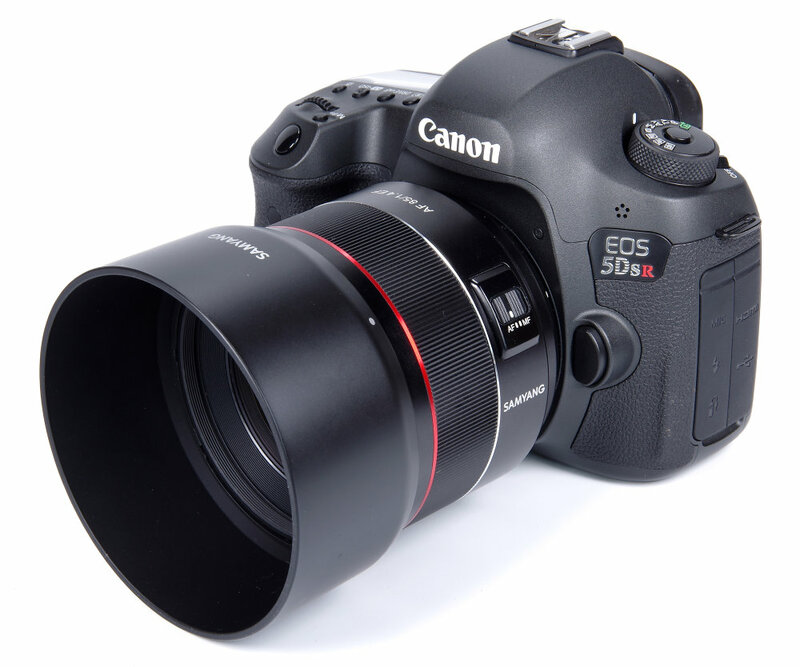 The only control ring on the lens is the broad manual focus ring, electronic in operation and silky smooth. Manual focus can be employed even when AF is active, useful to give slight tweaks to the AF position. Focusing is down to 90cm or 2.95 feet, about what we would expect for an 85mm lens. However, it does look as though that measurement is from the front of the lens rather than from the sensor plane, so minimum focus is not particularly close. AF also seems slightly unhappy at very close distances, even for example in the image of the solitary rose in the sample shots. The AF steadfastly refused to lock onto the rose, so manual focus had to be used (Samyang has confirmed they know about this issue and are fixing it before the lens is released on general sale). Generally, at normal distances, AF is positive, accurate and silent. There is an AF/MF button on the lens barrel, and nothing else to break up the sleek black look of the lens. The lens is UMC (Ultra Multi Coating) coated and comprises 9 elements in 7 groups, including 1 Hybrid Aspherical. The diaphragm has 9 rounded blades, aimed at enhancing the bokeh. Vibration Reduction is one omission, so we are left with using fast enough shutter speeds to avoid camera shake but weather sealing is built in. There are, in fact, several invisible seals internally and one external rubber seal on the rear of the lens to protect the lens from adverse weather. 85mm is certainly a very attractive focal length, especially an f/1.4 design that allows for a high degree of selective focus and also opens up possibilities as the light levels fall. Portraits are a perfect subject, allowing a flattering distance between lens and model, whilst still keeping the photographer close enough to enable proper communication. Landscapes, sports and many other subjects are suitable for the 85mm, which handles almost as easily as a 50mm standard lens whilst cropping out unwanted edge details and allowing the photographer to step back a little and not crowd the subject. Samyang has produced a very likeable lens, a perfect partner for the Canon EOS 5DS R and other full-frame models. 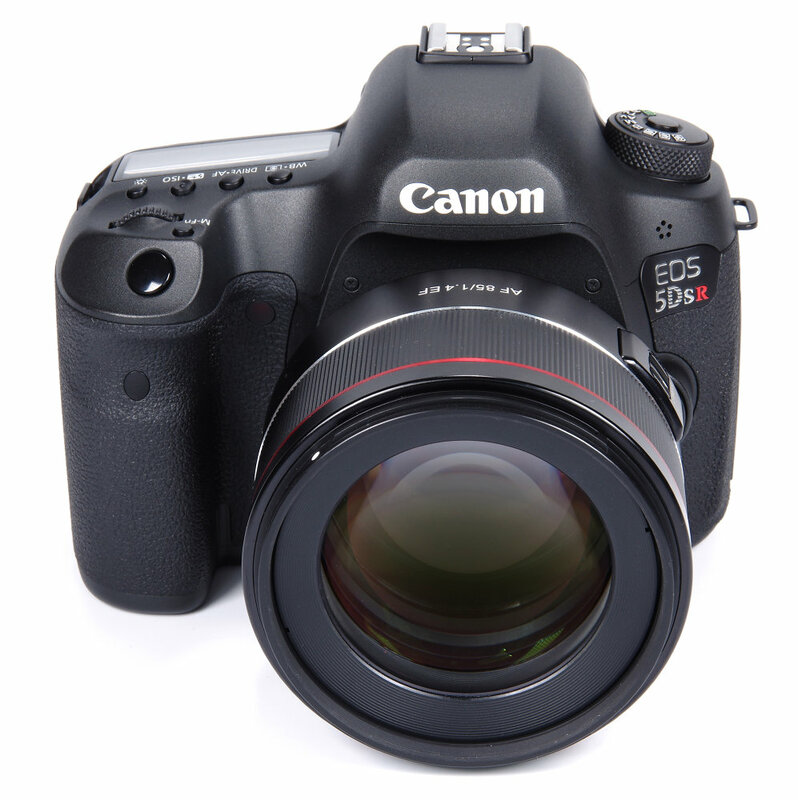 It is still usable on the APS-C format DSLRs, where it has a field of view similar to a 136mm lens on full frame. As 135mm is another very popular and classic focal length, that has possibilities too, albeit with a lens that may look rather over-chunky on the more diminutive models. It does, however, balance rather well and doesn't feel over heavy.